Lemons. Blueberries. Cupcakes. 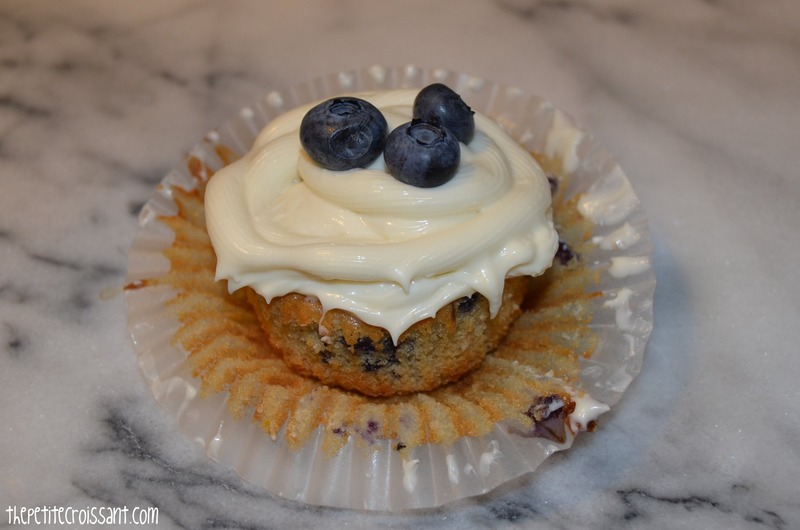 All three of these things are delicious, and when combined, they make a great cupcake that you can eat for breakfast or dessert (I personally did both). Who doesn’t love chocolate? No, really, who doesn’t? I may have been guilty of growing up without an appreciation for chocolate, but I’ve come around and now truly appreciate all that is holy about chocolate. 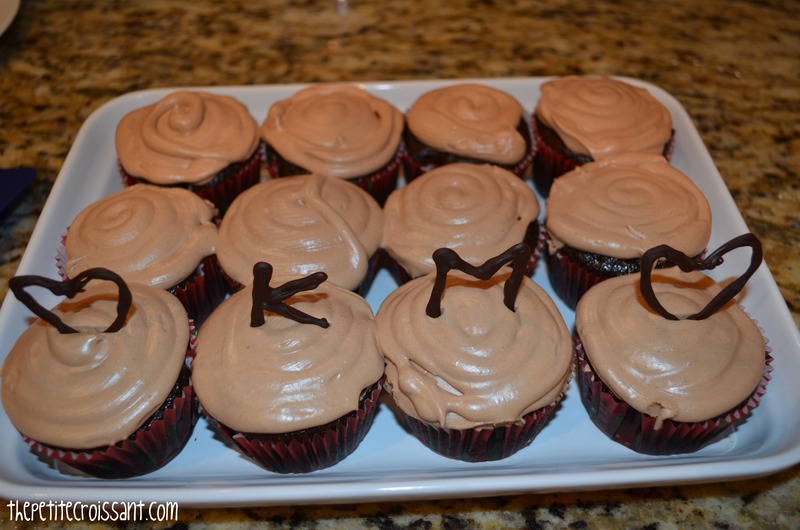 So when I see chocolate cupcakes with chocolate frosting, my brain gets excited. I don’t normally participate in the cupcake craze. I judge the people I see waiting hours in line for a Georgetown Cupcake in DC. But sometimes, for parties, cupcakes are kind of handy because people can just grab one and eat it while standing without any silverware. Plus, sometimes I think people are intimidated by cake, but not cupcakes. So anyways, I made these double chocolate cupcakes for the June birthday party I threw, and well, all I can tell you is I only got to taste the dough and frosting because these were gone before I even got to eat one. So I’m hoping that means they were good. Plus they are super fun to decorate if you go the extra mile and create the chocolate toppings (it’s a lot easier than it seems, I promise!! ).